Urban Barn: Glitter, and Sparkles, and Jewels, OH MY! The class list is growing and growing and GROWING! We're so blessed to have so many talented artists teaching in the craft cafe. There is a class for everyone. The more the merrier! 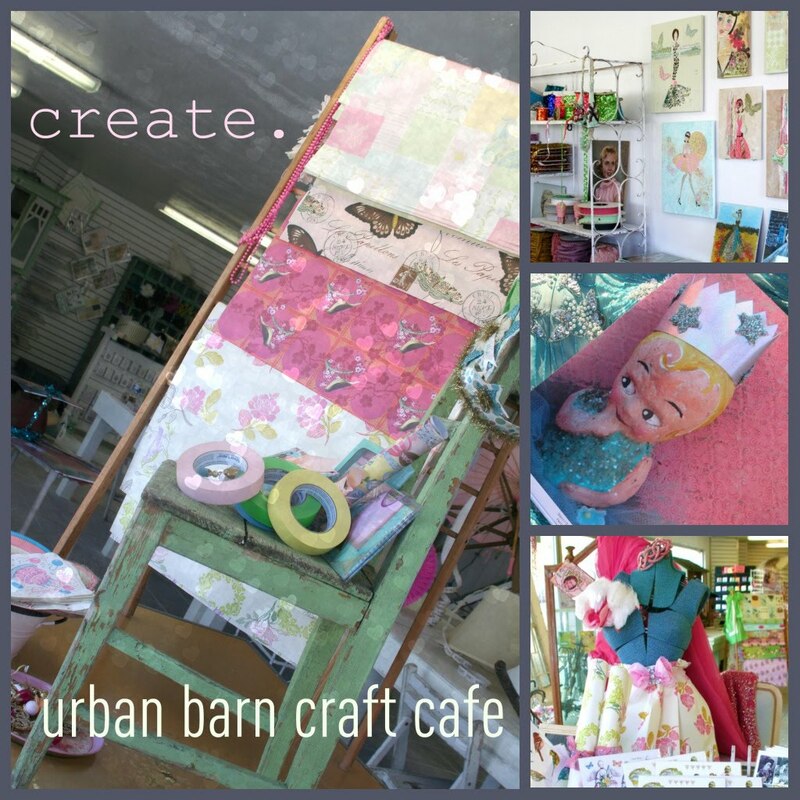 Here is a peek of the Urban Barn Craft Cafe and a few of the upcoming classes. For a complete list and to receive updates of newly added classes email me at theurbanbarn@hotmail.com. Now, about the glitter, and sparkles, and jewels! We can't wait to share our creative spirit with you, and for you to share yours with us! Girls just wanna have fun!!! Mary was working hard on the Cafe when we stopped by Saturday and looking so cute and lovely. I found some wonderful scrapbook paper and "jewels"...can't wait for classes and more shopping.